While a lot of people undergo plastic surgery because they want to improve their physical appearance and raise their self esteem this is not the only use for plastic surgery. Plastic surgery can also eliminate or prevent a variety of medical problems and help improve your overall quality of life. Here are 3 surgeries that can help to alleviate your medical problems. Overly large breasts can cause embarrassment, but did you also know they can cause medical problems? Severe back and neck strain has been linked with overly large breasts, which are heavy and produce excessive strain on these areas. Overly large breasts can also cause difficulty breathing, especially while exercising and can irritate the skin under the breasts because of the excess friction and trapped sweat. Rhinoplasty, or a "nose job" is not just about achieving an attractive nose. It can also be used to fix a variety of breathing problems caused by things like deviated septums. Rhinoplasty can be used to improve nasal function and increase oxygen intake, ensuring your body gets enough oxygen and improving overall health and wellbeing. 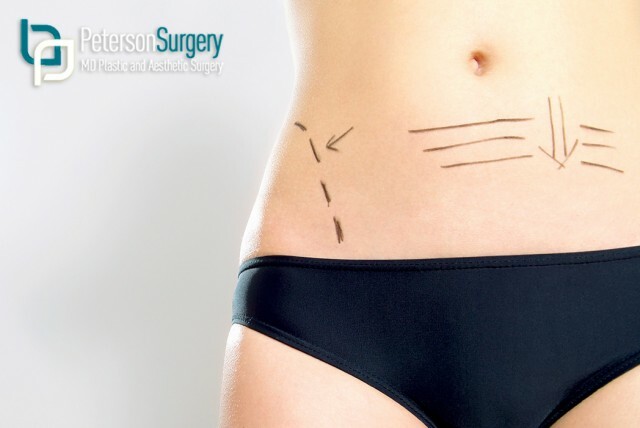 Undergoing an abdominoplasty or "tummy tuck" can not only improve your confidence and self esteem but can also reduce stress related incontinence. Removing excess bulk from around the midsection can also reduce your risk for diabetes, and can alleviate back pain by correcting rectus muscle position. It is also a good way to remove the excess skin caused by stretch during pregnancy. If you are affected by health problems such as risk for diabetes, back pain, stress related incontinence, breathing problems or breast related skin irritation then call Dr. Peterson at Peterson MD today at 250.868.9099 to book a consultation appointment and find out if plastic surgery is right for you. For more information visit petersonmd.com today.